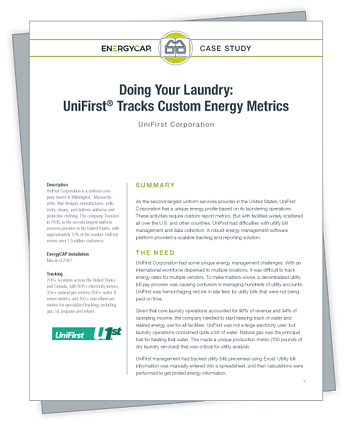 As the second-largest uniform services provider in the U.S., UniFirst Corporation has a unique energy profile based on its laundering operations. With facilities widely scattered all over the U.S. and other countries, UniFirst had difficulties with utility bill management and data collection. A robust energy management software platform provided a scalable tracking and reporting solution.